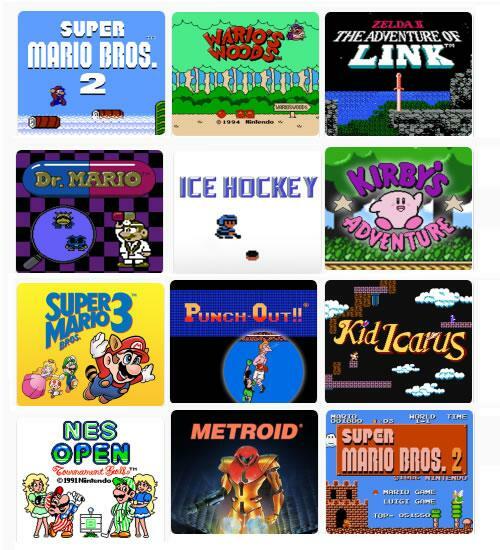 NES Remix 2 (Wii U) - Game info, guides and media for the second NES Mashup compilation! Like the original NES Remix before it NES Remix 2 is a compilation of remixed NES titles and was primarily released as a Nintendo eShop download title. You can choose to play 'challenges' based on any specific game featured in the list below, and as you progress through the game you unlock more 'remix' games, which will mix things up to throw Kirby into a Super Mario Bros 3 environment, or maybe even throw Mario into Link's shoes. A list of the games which have been remixed in this title are below. 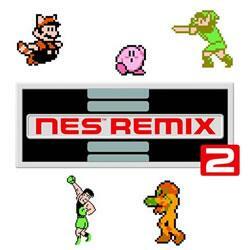 Take a run at even more retro remixes in NES™ Remix 2! Delve into over 160 bite-sized 8-bit challenges based on classic moments from 12 NES titles. This time, try your hand at twisted trials taken from later NES releases like Metroid, Kirby’s Adventure, Super Mario Bros. 3, Punch-Out! !, Kid Icarus, and more! Conquer NES stages and earn Stars to unlock extra stages before moving onto Remix stages, where the rules are rewritten and the outcomes are all but expected! Nab coins from the world of Mario as Kirby, help Link escape a ghastly gang of Boos and try to clear viruses as they change colour in Dr. Mario – even retro veterans will have to relearn loads to overcome these encounters! Re-master a dozen classic NES titles and get a fresh spin on the retro era in NES™ Remix 2, only on Nintendo eShop on Wii U! Put Super Mario Bros into reverse, sideline Mario and put the Big L in his place - and you've got Super Luigi Bros, every SMB speedrunners nightmare. Officially this game was released after the Year of Luigi ended however it is still very much considered to be the last game of the Year of Luigi. 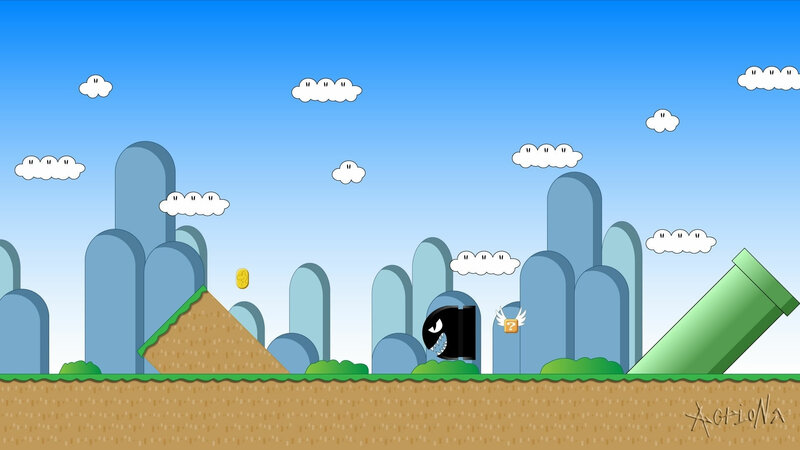 The idea for this game was inspired by a challenge from the original NES Remix where Luigi had to run through world 1-2 backwards. Another game mode is the Championship mode. The whole nostalgic 8 Bit feeling of the NES Remix games is continued in this mode which is based on a similar setup to that of the Nintendo World Championships which took place in 1990 in the U.S and spanned 29 cities where players had to take on a trio of challenges featuring gameplay from Rad Racer, Super Mario Bros and Tetris to compete for the highest score to win prizes. Get as many points as possible in a round of Dr. Mario in the time you have left or until you die - this is the most sensitive one which can make or break a players score. 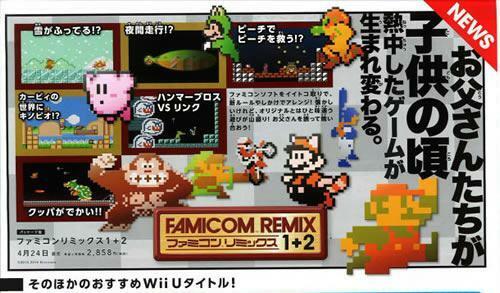 In Japan a compilation disc including NES Remix 1 and 2 was released on a disc titled FAMICOM REMIX 1 + 2. It was released 24/04/2014.